In collaboration with GBA, we offer a few Blockchain development and technology training classes in Washington DC or Online. You can take an individual class or 180 hour Bootcamp. This hands-on intensive bootcamp class provides you with essential tools and techniques to design, develop, and manage professional websites. High school Technology Services offers summer coding classes for high school and middle school students online or in Washington DC. 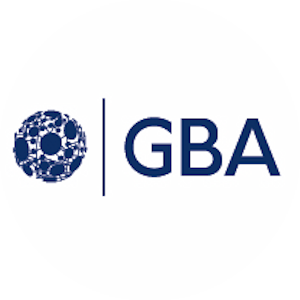 We offer special discount & flexible payment plans to GBA members, reach us via email for details. High school Technology Services offers many technology classes for teenagers and adults in DC or online. High school Technology Services offers many coding classes for teenagers and adults in DC or online. This hands on Python programming course shows how to rapidly develop and maintain effective Python programs. The course includes thorough coverage of Python syntax, built in data types and control constructs. We offer special discount to GBA members, reach us via email for details. Cryptocurrency & Blockchain Fundamentals (CCBF) Certification provides an overview of the cryptocurrencies and how to buy them etc. Open Up a Cryptocurrency Wallet. Buying Coins From a Cryptocurrency Exchange. Buying Coins From Forums and Crypto Communities. Coinbase Wallet or similar wallet. Buying Bitcoin from Coinbase or similar Exchange. CULedger is a credit union-owned CUSO that focuses on delivering innovative applications on a global distributed ledger platform for credit unions. In working through a national consortium of 33 credit unions and trusted industry investors, CULedger has pioneered new developments around a global self-sovereign digital identity that will further enhance the trust credit unions have with their members. The company’s flagship product, called MyCUID, will be the first KYC-backed, universal digital identity credential that will be issued by credit unions to the more than 235 million credit union members worldwide. BWCS is the exclusive seller of Ammbr products in the United States. This solution will allow for distribution of various signals up to 10 kilometers to bridge the digital divide. Along with long range distribution it is also paired with a blockchain to allow reselling of signal to local users in payment in Ammbr token. NoMoreCaptchas stops bots that try to register and log in to websites, leave spam comments on blogs and social sites and send spam message emails through contact forms.